DC Universe’s Titans has cast Chella Man as Jericho, the mute son of DC’s famed mercenary Deathstroke. Man is making his Hollywood debut portraying Joseph Wilson, a superhero who can control anyone’s body just by making eye contact. 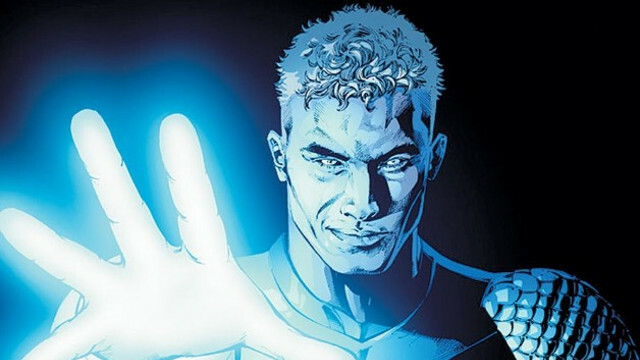 The character Jericho made his debut on the pages of The New Teen Titans by Marv Wolfman and George Perez in the early 1980s. Also, the first appearance of Deathstroke’s son in a live action show was on The CW’s Arrow, as Liam Hall portrayed the character. “Son of the infamous DC villain Deathstroke (played by Esai Morales), Joseph Wilson is the Titan known as Jericho. Mute after his father failed to rescue him from having his vocal cords severed by assassins, Jericho has the unique ability to possess anyone just by making eye contact. This gentle natured yet proud hero has proven himself a formidable Titan”. Furthermore, Esai Morales joined the cast for Titans season 2 as Deathstroke last week. At the moment, DC Universe hasn’t announced a date or timeframe for the show’s second season. Titans‘ first season is streaming now on DC Universe. What do you think Chella Man will fare as Jericho? Let us know in the comments section below.